Mr Faulkner has considerable experience in professional sport, having served as chief executive of both Aston Villa and Nottingham Forest football clubs, as well as being the Premier League's representative on the Football Association Board. As one of 45 County Sports Partnerships in England, the role of Sport Birmingham is to increase participation at the grass-roots level by interpreting and shaping national, regional and local policy to meet the needs of the city's residents. As a registered charity, Sport Birmingham works with clubs, coaches and volunteers across the city to increase the number and quality of grassroots participation opportunities for communities from all ages, backgrounds and abilities to enjoy the opportunities for communities from all ages, backgrounds and abilities to enjoy the benefits that being physically active has to offer. This includes the important role that sport has in addressing social isolation, improving educational attainment, combatting crime and anti-social behaviour and driving economic growth. Mr Faulkner said: "Sport Birmingham is a really dynamic organisation which plays a big part making sure people in the region stay active. "There is no better time to be involved with Sport Birmingham, with the Olympics in full swing and showcasing what is great about sport at the highest level and the inspiration it can provide. "There is also the potential for Birmingham to bid for the 2026 Commonwealth Games, something which would provide a great sporting legacy for the city. "Sport is a huge passion of mine and I'm looking forward to helping Sport Birmingham achieve its goals and make sure sport and physical activity continues to flourish across the region. 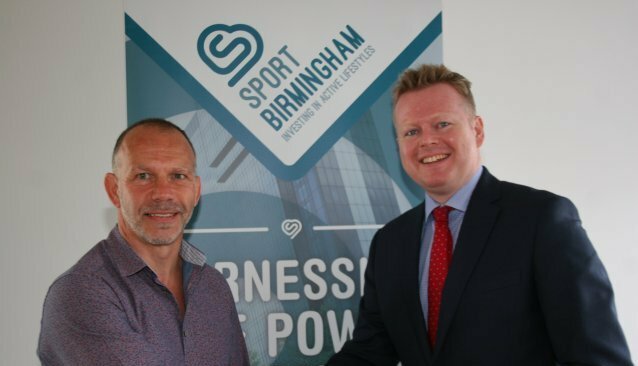 "I've worked with Sport Birmingham for over a year already as very proactive members of the Chamber and I am delighted and proud to take on this role with the organisation." Mike Chamberlain, chief executive at Sport Birmingham, said: "This is a very exciting development for the Sport Birmingham and we are delighted to have secured the commitment of one of the city's most important leaders. "I am confident that Paul will help significantly raise the profile of the organisation and the great work that we do in order to make Birmingham a healthier and more active city in which to live, work, learn and play."